You may have seen these companies’ products on your shelves for years, or they might be completely new to you. Either way, our small list of 100% vegan body care lines is sure to impress. You can purchase items from any of these companies, knowing that you’re helping to support ethical treatment of animals. Many ingredients are organic, some are locally sourced, and several of the companies give back generously to their communities. 1). Dr Bronner’s. www.drbronner.com This all-vegan company is ubiquitous. You’ve seen their products for years. 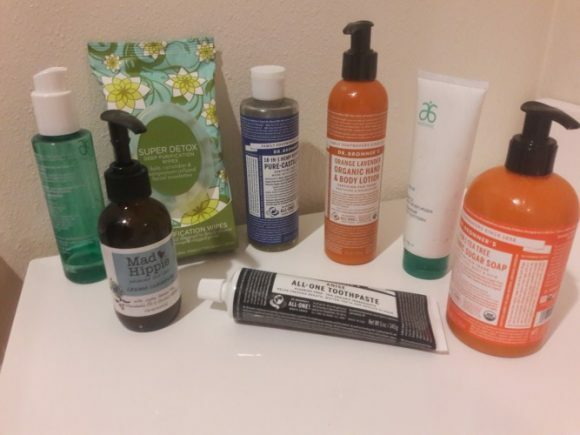 Almost everyone has experienced the tingly joys of their liquid peppermint soap, but did you realize that they also make toothpaste, lotion, shaving cream and hand soap? 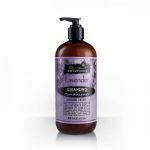 Their Orange Lavender Organic Hand and Body Lotion ($9.99) is a creamy concoction that applies smoothly to your skin without leaving a residue. The combined scent of lavender and orange manages to be both stimulating and soothing at once. Their All-One toothpastes ($6.49) come in three flavors – cinnamon, anise, and peppermint. These products contain no artificial colors, flavors, or preservatives. It’s worth noting that Dr Bronner’s implemented a policy called “Constructive Capitalism.” The highest paid executive’s pay is capped at a rate that is only five times that of the lowest paid, starting worker. When you buy products from this company, you are supporting animals, humans, and the earth. You can’t go wrong with that! 2). Arbonne. www.arbonne.com For a long while, customers could only order Arbonne’s products through distributors, but now their high-quality offerings are available through their website. They sell products both individually and in sets. We’re big fans of their Calm Collection ($140.00), which features Gentle Daily Moisturizer, Gentle Daily Cleanser, Soothing Eye Gel, and Soothing Facial Serum. These products are suitable for daily use. The moisturizer is weightless and easily absorbed by your skin. The Gentle Daily Cleanser creates a light foam that penetrates your skin and removes impurities. Both the eye gel and the serum soak into your pores, smoothing wrinkles and restoring elasticity. Arbonne has been in existence since 1980, manufacturing products that are vegan, carbon-neutral, and free from animal testing. We’re glad they exist! 3). Mad Hippie. www.madhippie.com This Portland, Oregon-based company has been making a splash during the past few years. And for good reason – they make incredible, all-vegan products, and they’re earth-friendly on every level. They run their facility on alternative energy, use soy inks for printing, and give generously to several charities, including Save the Elephants and the Whole Planet Foundation. They use organic ingredients, free from parabens and synthetic fragrances. Their products smell great and feel wonderful on the body. We’re wild about their Cream Cleanser ($15.99), a tantalizing mixture of organic jojoba and macadamia oils, orchid extract, and other wholesome ingredients. You’ll love how soft your face will feel after you’ve cleansed away impurities with this product. 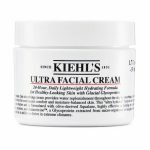 Another great offering is the Face Cream ($25.99). It’s brimming with peptides and antioxidants, formulated to nourish your tender facial skin. You will love every single one of Mad Hippie’s products. We recommend that you fill your cupboards with them! 4). Aveda. www.aveda.com If you’ve ever visited a hair salon (and who hasn’t?) you’ve seen rows of Aveda products. We bet you didn’t know that their entire line is vegan! The company is constantly rolling out new products. Their best-selling rosemary-mint shampoo and conditioner ($9.00-$44.00) are two of our all-time favorite products. The aroma is out of this world! Organic rosemary and peppermint combine with flower and plant essences to create a wholesome elixir for your tresses. They’re great for fine to normal hair. 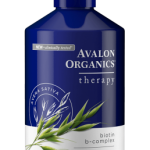 Another highly-rated product is Aveda’s Thickening Tonic ($29.00). It features Aveda’s signature “Pure-fume” aroma, comprised of certified organic rosemary, geranium, cinnamon and other pure flower and plant essences. Your hair will feel thicker after just one use. 5). Pacifica. www.pacificabeauty.com It would be difficult to find a lovelier, more extensive body care product line on the planet. This all-vegan line has your entire body covered. Pacifica manufactures everything from make-up to body butter. Need a good mascara for autumn? Buy yourself a tube of the Black Crystals Supercharged Extending Mascara ($14.00). The addition of Vitamin B and Coconut Oil will nourish and strengthen your lashes. Even the brush is vegan! Want a perfume that won’t leave your body smelling like chemicals? Try the Tahitian Gardenia Spray Perfume ($22.00). It utilizes natural corn-based alcohol, blended with a vintage-inspired blend of jasmine, sweet orange, and tea leaves. One look at the beautiful website, and you’ll want to buy everything you see! You’ll be delighted by all the products. When you purchase from any of the above companies, you’re doing your part to save animals, help the planet, and keep people employed, creating sustainable, high-quality products. Meanwhile, you’ll be adding luxury to your body care regimen. It’s a win-win on every level. These five body care companies manufacture high-quality, 100% vegan products that will nourish your body and protect animals at the same time.